Home » 25 Days of Giving: Purple Mattress Giveaway! Welcome to Day 8 of 25 Days of Giving! We’re continuing the month with your chance to win a brand new mattress from Purple. 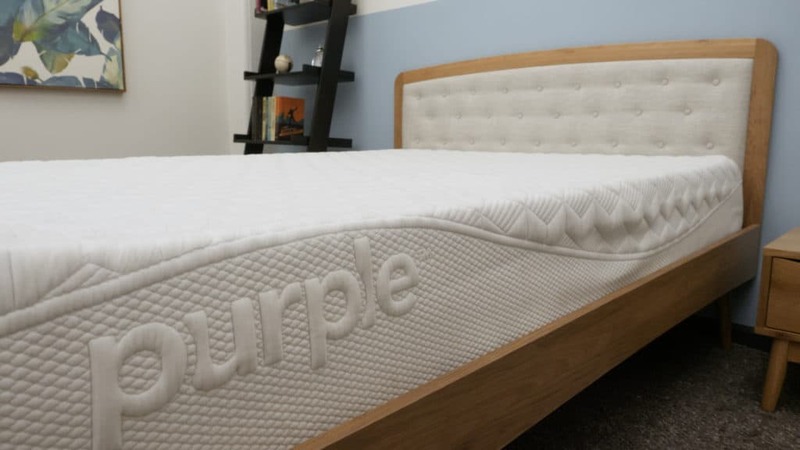 The Purple mattress is one of the most popular bed in a box mattresses and it uses the company’s Hyper-Elastic Polymer to provide comfort to sleepers. It’s a unique material that sleeps cool and is bouncy to give the mattress mobility so people can change positions easily. The Purple mattress sounds like a great choice for my sleep style. It is a toss up between the Zenhaven mattress and Purple mattress but will choose the Purple. I have heard and read great things about these purple mattresses.I would love to be the lucky winner and get a good nights sleep .Its been awhile! Thank you so much for the chance to participate. I don’t think I would even know how to act if I had a new mattress that actually helped me sleep better. .. I might actually sleep and never want to get out of bed! The Zenhaven is my favorite LATEX mattress, but the Purple Mattress is one of the best mattresses out there!!! It’s perfect for side sleepers like us, and I love the cooling this mattress gives! We’re both hot sleepers! This mattress is just so unique, LOVE IT!!! Would love to win a Purple! Thanks for this much needed oppurtunity! Would love a comfortable nights rest! With all my health problems, this sounds like the right mattress for me! This is one of my favorites! Thank you for the reviews and giveaways! I would love to win this. My hip pain flares up at night. Merry Christmas to all! Zenhaven would be my number one choice, but Purple is very close 2nd! Purple mattress please! With my back pain getting worse I know I need a new mattress and I’ve heard great things about purple 💜 but not being able to work makes buying one impossible. Thank you for the opportunity! We would love a new bed for my family. Merry Christmas! I would love a new mattress. Hope to win. Winkbeds is my favorite latex mattress. I think I would finally sleep through the night and not wake up with a sore back. I do like Purple too, but for the latex mattress, my number one pick is ZenHaven! All of the mattresses you have reviewed have positive elements, but my favorite is the Purple….I think I’ve said that before. :-) Thank you. Totally forgot need king size beds for back hubby w bad back but soft and i sleep on my side mostly than and back sometimes but that could be due to having a dinosaur bed. I like this mattress. Hope to win. I loved to try a Purple mattress and get a Purple seat pillow for my mom. The Zenhaven works for me, it has all the qualities I look for in a mattress. I think the Zenhaven would be best for my wife and me. I think the Purple mattress would be great for my husband & I. Good Luck Everyone! Me me please pick me! Desperately need this, thanks for the chance! Looking at the latex mattresses, I think the Zenhaven would be the best fit for me. It seems to check all the boxes of what I want in a mattress. The review for the purple mattress also seems to fit. I am a side sleeper and staying cool are the important factors. 😍😍 purple is my favorite color AND this bed is awesome… that’s 2 + for me!! Sleeping on an air mattress lost everything and a single mom could really use a mattress. how to chose which mattress you would love most…hmm….let me try them all out! Sure would like to try this mattress out. Purple is extremely nice. I love all your reviews. I’ve seen Purple mattress and pillow ads before and they seem to be very good well-made reliable and durable. I would really love to win this bed! Thank you for the chance! I really like the Nectar!! Hey, i like this purple mattress because of the motion isolation. I’ve heard such good things about Purple, I would love to own one myself. I’ve had my current mattress for an embarrassingly long time. Having an opportunity to replace it with a Purple mattress would be awesome! I really hope I win!! The Ghostbed has a latex layer and sounds like it would be good for me. I’m yet leaning toward Saatva mattress even though I like some of the features of the Purple mattress. I love the purple. They look really comfortable. Looking at buying a new mattress, Purple is one on top of my list. I am a side sleeper though so also looking at a few others. Love the reviews you do!! This is the mattress I want! Purple! Been waiting for a giveaway for it. Need a new mattress ! I love your reviews! You are always so in-depth about each mattress you review I also loved the pressure mat you used on the purple! Hoping and praying I win I need this SO bad. Would love a nice SLEEPOPOLiS mattress to sleep on! I don’t know until I sleep on them for months. I would LOVE to have a new Purple mattress for myself! Thanks for the opportunity! 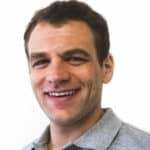 That hyper elastic polymer is definitely interesting! I hope I win! I want a purple mattress. Currently lying in bed with aching hips and back thanks to my awful mattress. It would be amazing to win a purple. I’d be over the moon! I have the Nectar bed & I love it!! I’ve had heard and read so many wonderful things about the Purple Mattress. This would be such a blessing! The purple matress looks Soo comfy…. They all sound like wonderful mattresses and the review on the Purple mattress sound amazingly comfortable. I good bed is needed for a good night’s sleep. Purple is my favorite color, even in a mattress! Would love to sleep on this baby! My king size temperpedic mattress is over 15 yrs old, it doesn’t even fluff back up anymore. We cannot possibly afford any new bed or mattress right now, or anytime soon. I would love to win a new mattress, so my husband and I could get a restful night of sleep. I even like the design of this mattress.Im hoping I win. Love the hybrid and the Avocado and the Dream Cloud and the purple they all sound wonderful. “Purple” has always been my favorite color! I would love to be sleeping on it! Tested a Purple at a Mattress Firm a couple weeks ago, and I loved it. Unfortunately, my wife didn’t feel the same way about it. She thought the edges we’re too forgiving. Fyi I have a purple pillow it’s great! Would love to win one. Ive been wanting a purple mattress for a long time now. This is so awesome. I’m really hoping I win. We need a new mattress badly! With The Purple Mattress being on of the most popular, I admit I have never heard of it before. I would have to say this is the most interesting and different latex-based mattresses you have reviewed. Looks so comfy. I hope to win for my son. After his last bed, he doesn’t want a traditional spring mattress. Right now he is using a mini chair that unfolds to a mat. Looks great! Someone’s in for a good night’s sleep! It’s time to really consider the quality of sleep that I’m having. Better sleep = better me! Purple mattress would definitely be my 1st choice of all the mattresses I have reviewed lately. I believe Zenhaven is best for me. This mattress has my name all over it. I am a chronic pain sufferer and a side sleeper. I also tend to get hot after laying down a few minutes so it would be great to have a mattress that address all of my needs. This would be a bed I would love to win! Thanks so much for the chance. I love all these mattresses. I can’t just pick one! I really need one of these mattresses. I’m currently sleeping on an air mattress because I’ve tried brick and mortar stores (didn’t work) and Overstock (they lost the mattress twice.) These giveaway mattresses are out of my budget, so, here’s to hoping. I’m a little over 200 lbs and I suffer from migraines due to back problems. Will the purple still be a good choice for support and pressure relief? Zenhaven looked very nice, but there are a lot of wonderful mattresses you have reviewed. Merry Christmas Sleepopolis!!!! Could usr a neww bed for my house. Bought 2 pillows for my son who spends HOURS driving. Absolutely the BEST ever !! I’ve been wanting a purple for a long time! I have been entering all your amazing sweeps and this is the mattress I love the most! Thanks to sites like this I know more about beds than most of the salesmen I speak to. I would love to win a new mattress THANKS for the chance this looks so comfortable like sleeping on clouds. This really looks like a comfortable long lasting bed. The bed I have is 14 years old and is diamond back and it has definitely lost its shape. I need a bed, even if you flip, it will not cave in and stay like that. I hope I win this quality bed. Another grreaat bed 😍😍😍 fingers crossed … Happy holidays and thank you!!! Nectar! Today I saw a commercial for Purple mattress and it was pretty fun and ironic! I Love that the Purple Mattress is a perfect match for all kinds of sleep positions. I switch between side and stomach and with my current mattress no matter how I sleep I wake up in pain. I think the Nectar but actually not sure as I would have to lay on it to see how comfortable it is. I would love to try this mattress. I’m a side sleeper and have arthritis in my back, hips, and knees. I love all things “Purple”! My favorite of the latex foam beds that you reviews is the PlushBeds Botanical Bliss. Ahh! I have a bad back, so I would love to win this mattress. Because I’m a side sleeper I think the Zenhaven is the best mattress. Thank You !! I really like the Zenhaven and the Spindle, but the Purple is very intriguing as well. I have heard good things about this mattress. Just made a good night sleep. The Purple Mattress has unique material that sleeps cool and is bouncy to give the mattress mobility so people can change positions easily. It would give you a great night’s sleep! I like the Bear mattress, but now that I read the review for the purple mattress I like this one also. I like the sound of this purple mattress. It looks so comfy! I am literally, sleeping on a dog bed. I would love to win this. I am desperate for real sleep, and no pain! I am a side sleeper so the Purple,Nectar,Helix and Casper mattresses are my favorites. I need this Purple mattress badly! Always heard the Purple mattress is great! Would love to win one! I could really use a great bed. Arthritis and back and neck problems make it tough to get a good night’s sleep, maybe a new mattress would help!! I wish I could try the Purple mattress! I would have to say Purple is my favorite. My favorite mattress is the Leesa mattress – but checking them all out at the moment. So many great ones to choose from! ! I’ve wanted to try a Purple mattress for so long now, would love to finally find the just right bed! For side sleepers who sleep hot it definitely seems to hit all the right points with the bonus being you can sleep in any position comfortably. My Christmas wishlist! The ZenHaven latex sounds great! The Purple Mattress sounds good to me. Because of the cooling materials and innovative this, the Purple mattress. I really think I need this mattress, my current one is ancient with those horrid springs poking me in the back! The Purple MATTRESS is one of my best. It keeps you cool and it would be so nice not feeling my husband constantly moving. I have been wanting a purple, but just can’t squeeze it into the budget…this would be awesome!!! My favorite latex mattress is the Avocado mattress. I just got my purple pillow today and I am in love. It has so much airflow from the material they use, I can only imagine how cool the bed sleeps. Would love to win!